Pack of 5 Lighthouse Vario 1 Pocket Clear Stamp Stock / Photo Album Pages. Great for any paper item up to 7-1/2 x 10-1/4 including photos, stamp sheets, pamphlets, thin booklets, etc. 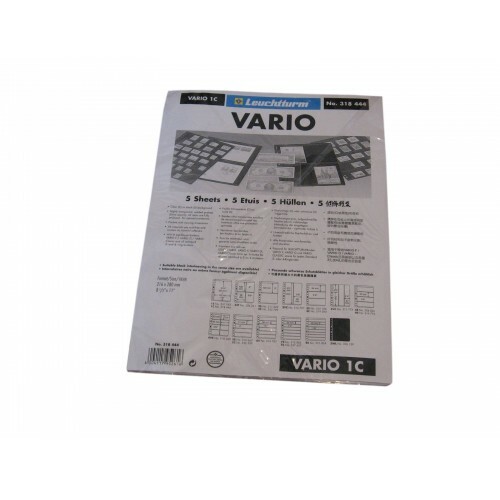 Do you have any questions about 5 Lighthouse Vario 1 Pocket Clear Stamp Stock / Photo Album Pages binder sheets?